Bleach 530 is now available! the next Bleach manga chapter. Last chapter we saw Isshin’s early days as a captain of Gotei 13, with Rangiku being his Vice Captain. As usual, he was a goofy and not-so-serious type of guy. He went to a “dangerous” mission, so dangerous that he did not even ask his Vice captain to come with him. What could be his mission and how is Izen connected to all of this? Find out in Bleach chapter 530. UPDATE: Please check out my Bleach 530 review. I got some new theories about Ichigo’s real identity. UPDATE: Bleach chapter 530 is now available. This chapter is entitled Everything But the Rain Op.3 and is a continuation of Ichigo learning the truth about his father and mother. 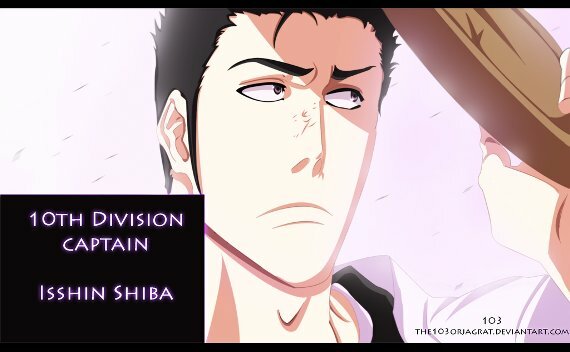 Last chapter we saw Isshin’s early days as a Captain of the 10th division. And we also found out that Isshin was really a Shiba before he became Kurosaki. So that mean’s Kurosaki is really Masaki’s last name. Perhaps Isshin is using Masaki’s last name to hide something. This also means that Isshin is related to Kukaku and Ganju. If Kukaku is Isshin’s niece then, they are cousins with Ichigo. One big shinigami family. It all makes sense now. Another thing, Nimaiya said that there is no Shinigami who has awaken their Zanpakuto without the help of his Asauchi. But how about Ichigo? He is different. I don’t think that Zangetsu was awakened with the help of Nimaiya’s Asauchi. If that was the case, the only thing that Ichigo has to do now is know where he came from and what he really is. In this way, he might be able to discover for himself how he can bring back Zangetsu again. One last thing, we are back to the scene were Izen was experimenting Hollowfication on Hirako and his gang. Perhaps Isshin’s mission was somehow related to this. Izen might have done something to Isshin or perhaps Isshin might have been affected by Izen’s experiment. And the result might not have come out in Isshin’s body, but instead the hollowfication was passed down to Ichigo somehow, after Masaki gave birth to him. Anyway, I’ll post update soon if ever a confirmed Bleach 530 spoiler comes out, or any update comes out. I’ll update this post also as soon as Bleach 530 is released. Stay tuned!